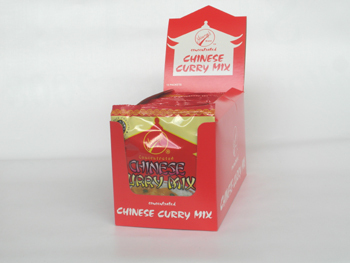 Yeungs Chinese Curry Mix – is a delicious concentrated chinese curry sauce mix. Follow the serving suggestion of the back of the packet for a tasty meal. A 220gm sachet will make upto 2 pints of sauce and can serve approx 6 people. Available in a counter top display box.